Whether you are planning to have an intimate wedding or an exorbitant one, Four Points by Sheraton will surely match your unique choice, budget, and requirements. With a capacity of accommodating up to 130 in seating and 750 in floating, the venue has a cosy and comfortable interior for the guests. It also offers an in-house team of caterers that puts all the efforts to delight the guests with mouth watering multi-cuisine dishes. Four Points by Sheraton, Vashi, Navi Mumbai, has something for everyone. Four Points by Sheraton Vashi Banquet Hall, is ideal to plan a sangeet or mehendi in their carpeted and wood panelled Unison banquet halls with an attached pre-function area for a dinner buffet set-up. Four Points, Vashi,	is ideal if you've got a large reception or phera ceremony in mind, choose their expansive terrace venue — the open-air setting is ideal for winter weddings. Whatever be the party area or occasion, Four Points by Sheraton, Vashi, Mumbai is sure to make it special. Four Point, Vashi, has in-house caterers who serve delicious food. 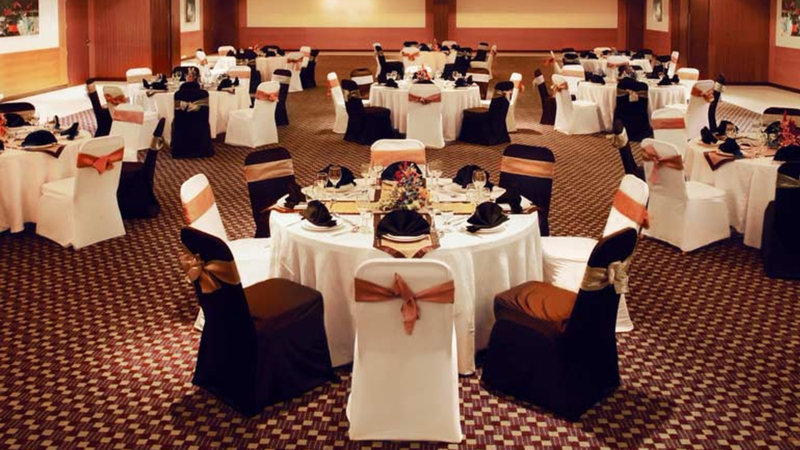 Four Points By Sheraton Vashi Banquet Hall, also has an expert team who takes care of decoration.